Hello and welcome to Meat Filled Pastries the home of pies, pies and a little bit of football chat. Usually I would have a light-hearted pre-amble about something that has irked me about the recent weeks football activities but today will be slightly different. Smit was a wonderful man and friend. For all the time I knew him he never once changed who he was or how he acted for anyone and that’s because he didn’t have to. Every day eulogies appear where someone is dubbed as the kindest or the nicest or the most well liked person and I’m sure in their own way they are but in Smit there was a man who nobody could say a bad word about. He would always be there for some hijinks or there to call you an idiot, something I had much experience of but most importantly he was always there. Even through the traumas of chemotherapy, of endless doctors appointments and hospital stays I never one felt that he wanted you to be anything other than normal with him. To live life to the end with that strength is something that I can only aspire too. Smit died aged just 28 an age at which no person should pass away. When something like that happens its hard not to evaluate your own sense of worth and the decisions you make, it’s just human nature, the sudden realisation that life is fleeting and then invincibility of youth is a cruel façade that can be so quickly and unfairly taken away. The words of Meat Filled Pastries may not have been here was it not for the likes of ‘The Grambler’ and ‘Rubbertoe Mankini’ some of Stewart’s finest creations and the choices I make now are not made with more than a thought to what he would do if he was standing there beside me. I’ve become a little braver and I’d like to think a little wiser but these changes pale in comparison against what my friend had to go through. I will always remember, I will never forget. A year down the line and the focus of Stewart’s friends and family are firmly focused on raising the profile of bowel cancer and The Kick Bowel Cancer’s Backside Fund has raised nearly £15,000 to date. If you want to donate then you can do so at the following link, https://www.justgiving.com/Geraldine-Smith3/, you don’t have to but if you do it will be greatly appreciated. 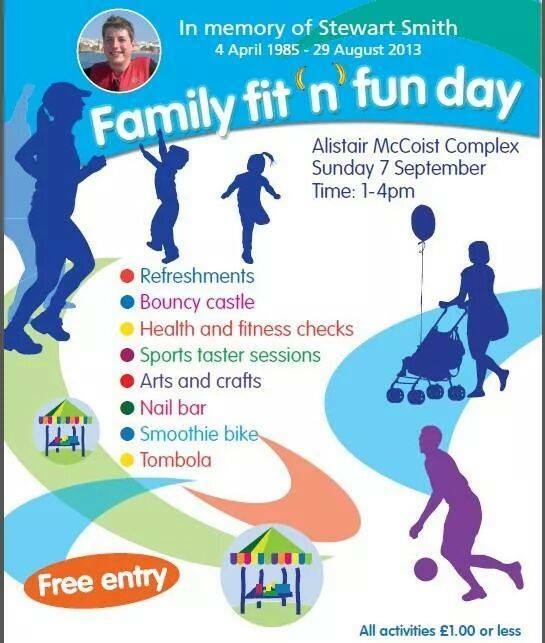 The next fund-raising event is scheduled for Sunday 7th September and below I’ve attached all the information you need to know for a fun filled family day out! Thank you for bearing with me through all that if it’s not your cup of tea I understand but it would be remiss of me not to use my mild infamy to promote something close to my heart. But for now let’s have a change of pace and why many of you are, without much further ado, let’s rate some pie! Price: £1. One single golden nugget has to depart from your paw to be rewarded with a meat and pastry snack. That my friend, in today’s world of £59.7m Angle Di Marias and £16m Danny Welbecks , is an absolute bargain. Presentation: Being a scotch pie this rode bare back in my hand with just a medium-sized white blanket playfully wrapped around it. Pie day is Cheat Day! 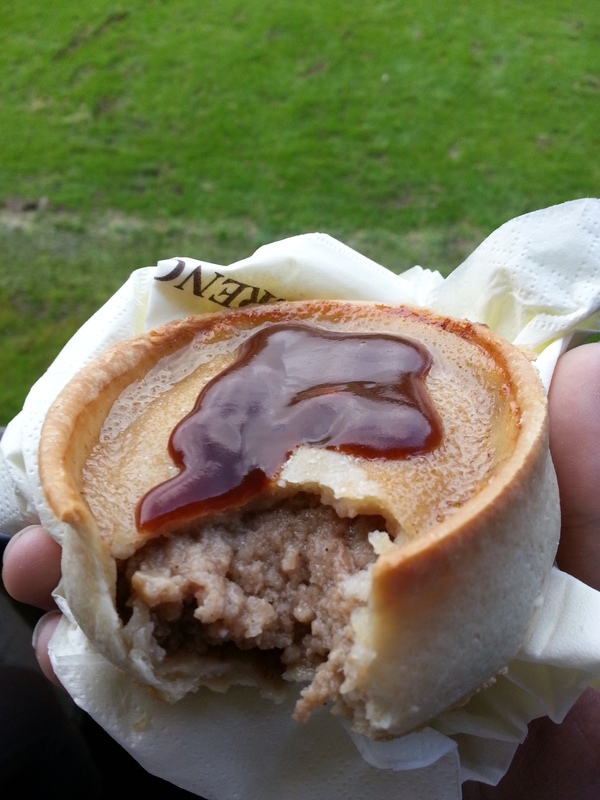 Meatiness: This was a traditional scotch pie but if I’m being honest it was all rather disappointing. There was definitely a meaty centre derived from the most aged of mutton but it lacked any real flavour. There was no peppery hit and neither was there a savoury note to the meat inside. 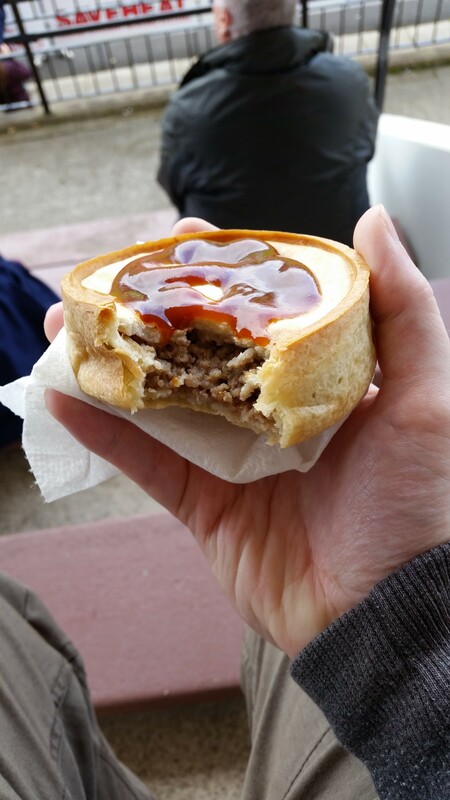 It was moist but didn’t feel lubricated with the wafer thin film of grease that a good scotch pie should leave on your lips as you consume it. This was certainly an instance where I was thankful for a healthy dollop of HP to add some much needed spice and zing. Pastry: The pastry was OK, it was a hot water crust and a little crispy but also managed to be a little too soft on the sides at the same time. There was no hole in top to let the heat escape although to be fair I am yet to be convinced those pies that give a sneak peek of the meat inside do so for no other reason than aesthetic appeal. There is nothing more frustrating than a pie that you can’t get enthused about when you spend a good chunk of your time reviewing them but the pastry on this pie did little to lift my apathy. Overall: I ate it, but it’s not devastating to think that it could be another wee while before I have another one. Gravy Factor: A little below bog standard Bisto. Disappointing. The next helping of pie will be from an as yet undetermined location so keep your eye out by following me @MFPTasty. 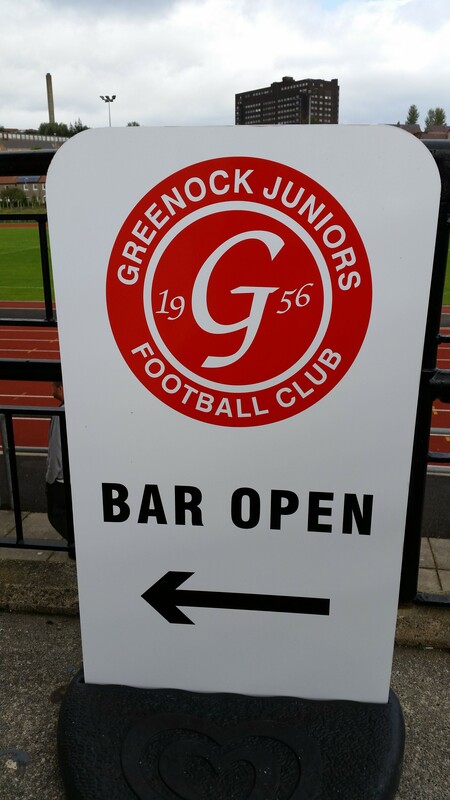 This entry was posted in Football Pies, Junior Pies, The Life of Pie and tagged Bobby Moore Fund, brown sauce, cancer, charity, Football, grambler, Gravy, greenock, junior football, Juniors, Meat, meat filled pastries, mince, pastry, pollok, scotch.